Once you’ve selected the Campaign Type, define your Target audience. For all Campaign types, you’re targeting selections will narrow down the users who receive the push. For triggered campaign types, your Targeting criteria determines not only who receives the push, but when it is sent. 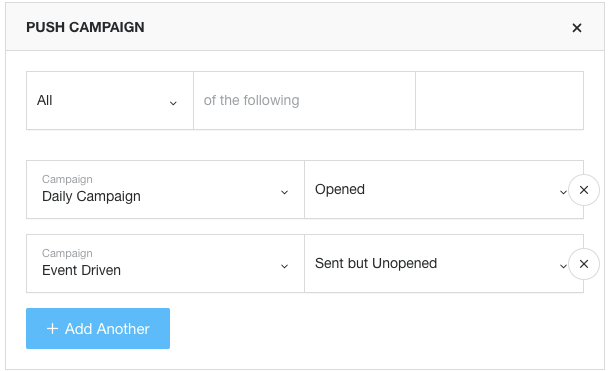 For these campaign types, Flurry will constantly look for users that meet all of your specified conditions, and send a push to a user as soon as those conditions are met. 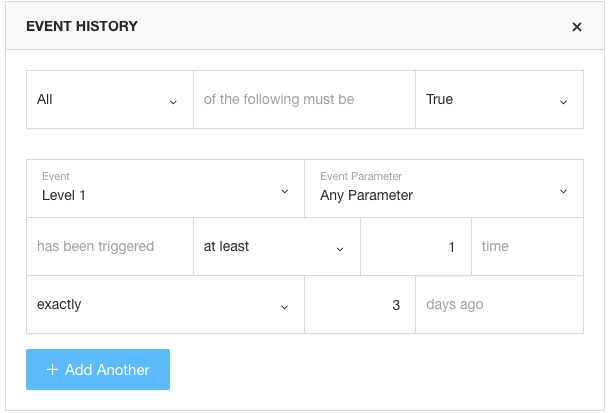 Note that for the Triggered campaign types, a user may receive the push once when they meet all of the conditions specified. Users never become re-eligible to receive a message from the same campaign for New User Retention and Event Driven campaign types. Note: All Targeting will find users based on the intersection of all selected Filters – so users must meet all selected conditions – with the exception of Region and Country filters. These two filters will be unioned together and then intersected with any selected filters. 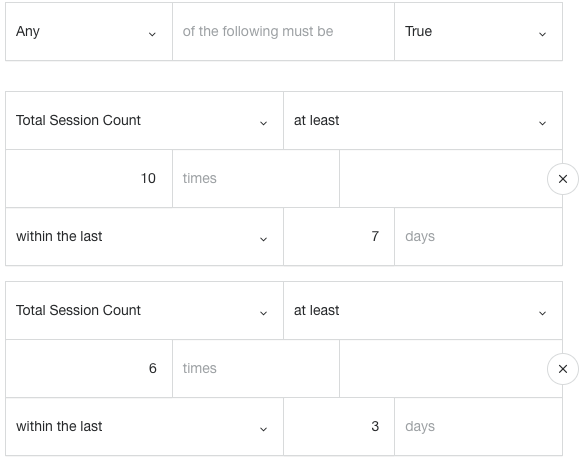 exactly N Days Ago: Select “exactly” to target users who installed a specific number of days ago Note that 1 day ago is yesterday as of the day the campaign is being evaluated, 2 days ago is the day before yesterday. (Note: Flurry evaluates the full day, midnight to midnight, in the Pacific time zone when filtering for a full day.) 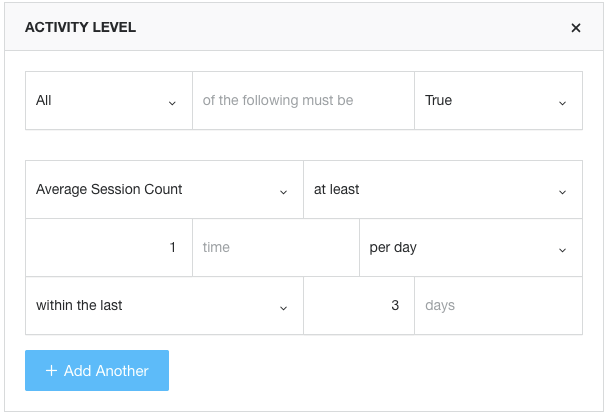 This option is ideal for the New User Retention campaign or ongoing (daily, weekly, monthly) promotional campaigns, because Flurry will always evaluate relative to the current day during the campaign. 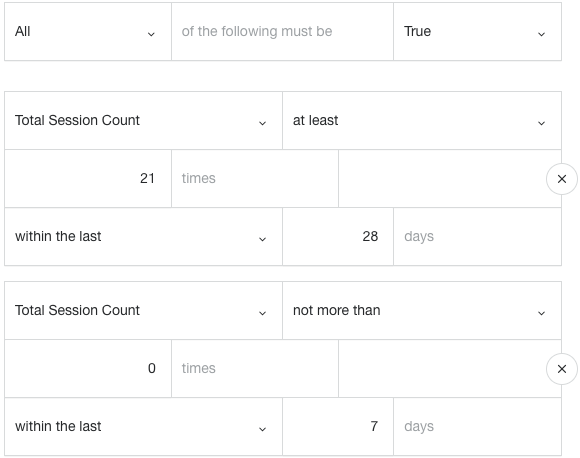 within the last N Days: Select “within the last” to target users who installed your app between a certain number of days ago and the current day as of the time the report is run. during specific time period: Select “during specific time period” to target users who first installed your app within a specific date range. Time period options are within the last N days, exactly N days ago, during specific time period and across all time. Target users who visited the app at least 20 times in the last 2 weeks. 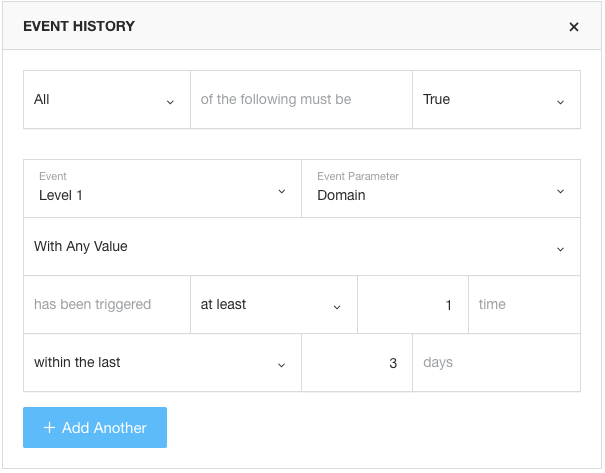 When targeting by Event, you select your triggering criteria and time frame. 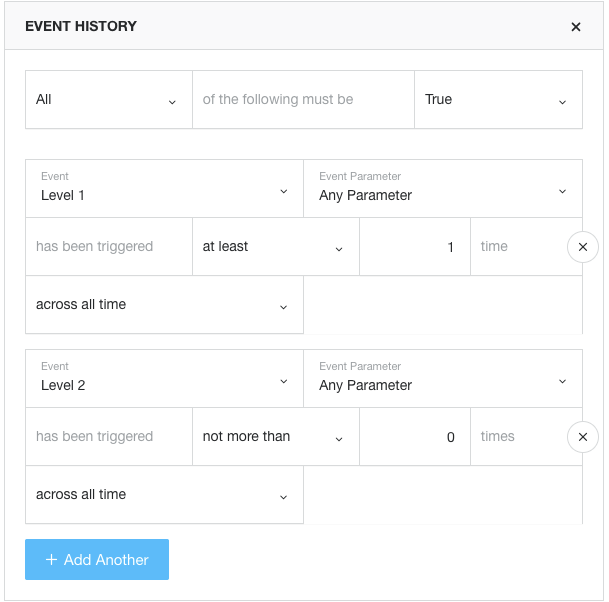 By default, Event Parameter will show “Any Parameter.” If the event you selected has been instrumented with Parameters, you may use the dropdown to select a specific Parameter. After you select the parameter, you will see that “With Any Value” has been selected for the Parameter. You can toggle to “With Values” and then select the parameter values you want to target.